Ensuring social, economic and environmental sustainability is one major aim of all the countries but priorities are not the same world over. The partner countries, China and Thailand, are fast growing economies attracting a significant share of Foreign Direct Investment but facing a number of social and environmental challenges. Growing cities, expanding industry and increasing pollution of air, water and soil are big problems in both the countries which have several adverse effects on the society, environment and sustainable development. 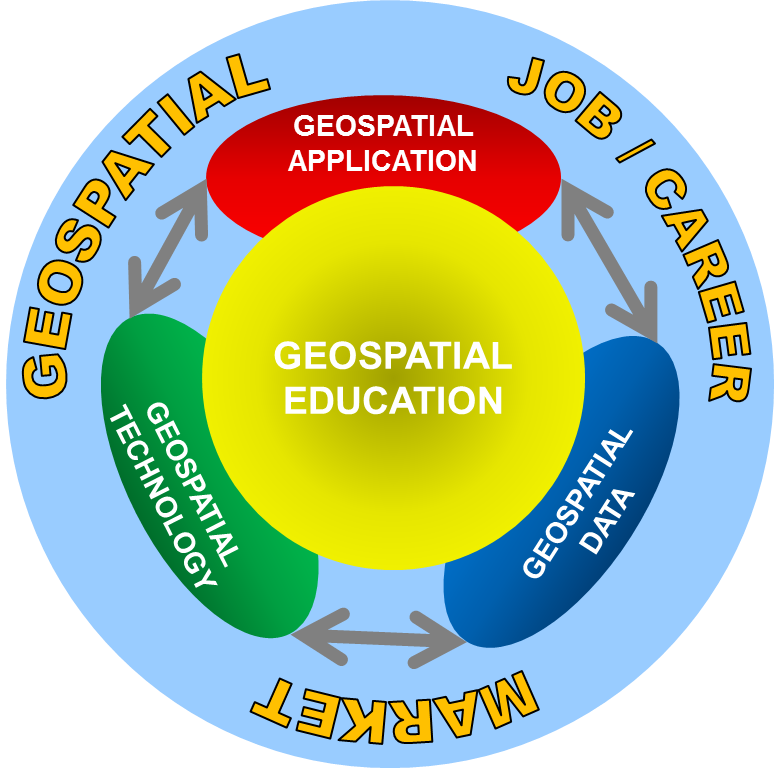 International geospatial job market is highly versatile and the influence of three main drivers, i.e. Geospatial Data, Geospatial Technology and Geospatial Applications, makes it quite dynamic and fluctuating. The three drivers have continuous and multilateral interactions with each-other, hence, a change in one driver causes a change in the other two. For example, supply of a new type of data triggers demand for required software capabilities for processing and analysis, and a combination of these two facilitates applications in new fields. Likewise, development of a new area of application may need suitable data and enhanced software capabilities. 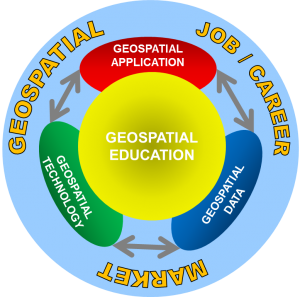 Resultantly, such developments create demand for ‘ready-to-deliver’ geospatial professionals having matching competences. The readiness of the current learners/ students depends on how much they engage themselves in continuously enhancing their skills and competences. GeoS4S project provides an opportunity to the faculty members as well as the current learners / students to acquire knowledge and skills, in addition to their regular curricula, in an international learning environment.